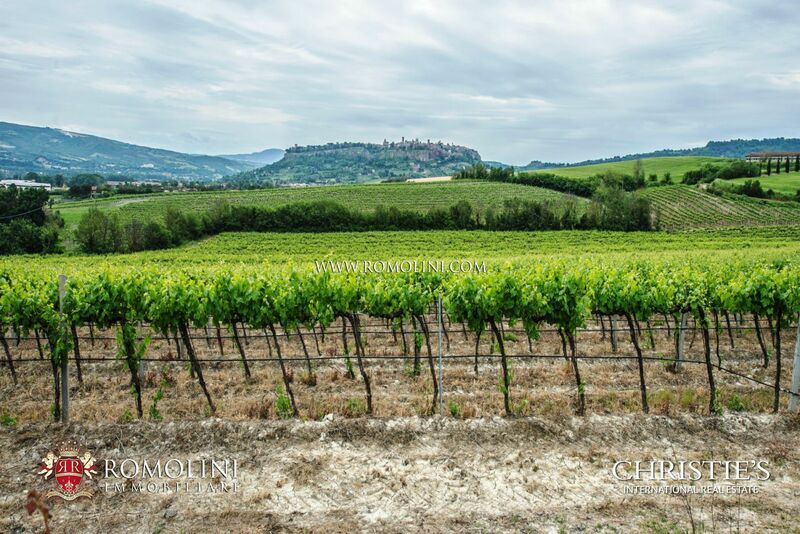 Orvieto ist eine wunderschöne Stadt in Umbrien, die auf einem besonderen Tuffsteinfelsen erbaut wurde und über eine reiche Geschichte verfügt wie wenige andere italienische Städte. 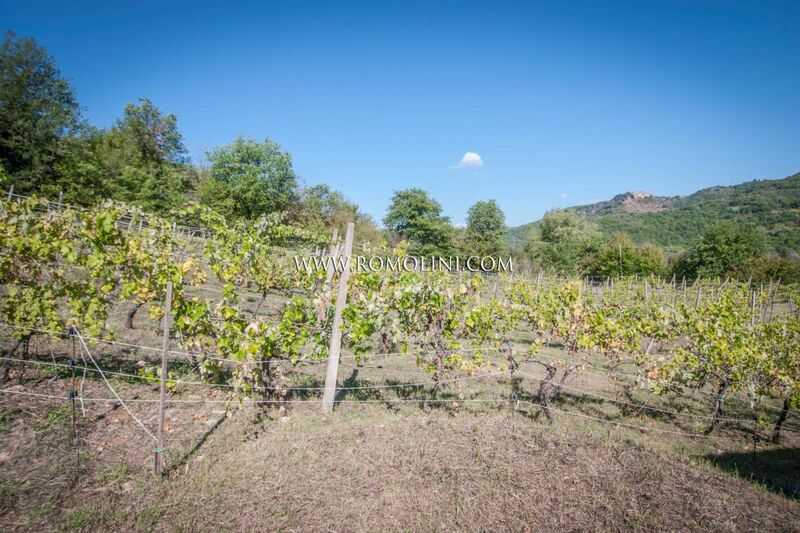 Sie wurde von den Etruskern gegründet und kam unter den Einfluss aller Herrscher Italiens: der Goten, der Byzantiner, der Langobarden und schließlich des päpstlichen Staates, dessen Besitz sie bis zur Vereinigung Italiens blieb. 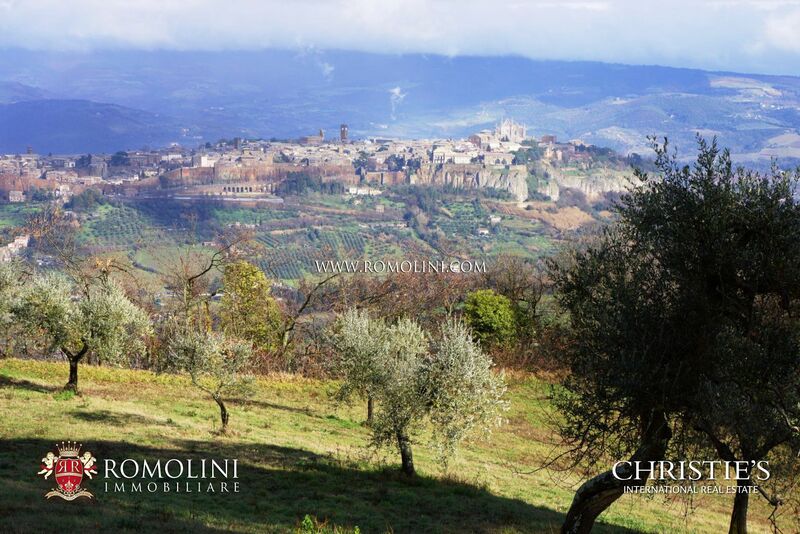 Um die Stadt herum, auf den grünen Hügeln Umbriens, bieten wir eine Auswahl an Landhäusern und Bauernhäusern zum Verkauf in Orvieto, Villen zum Verkauf, Weingütern zum Verkauf, Weinbergen zum Verkauf, historische Villen zum Verkauf in Orvieto, bekannte Weingütern mit Weinbergen Orvieto DOC, Klöstern zum Verkauf und Hotels zum Verkauf. 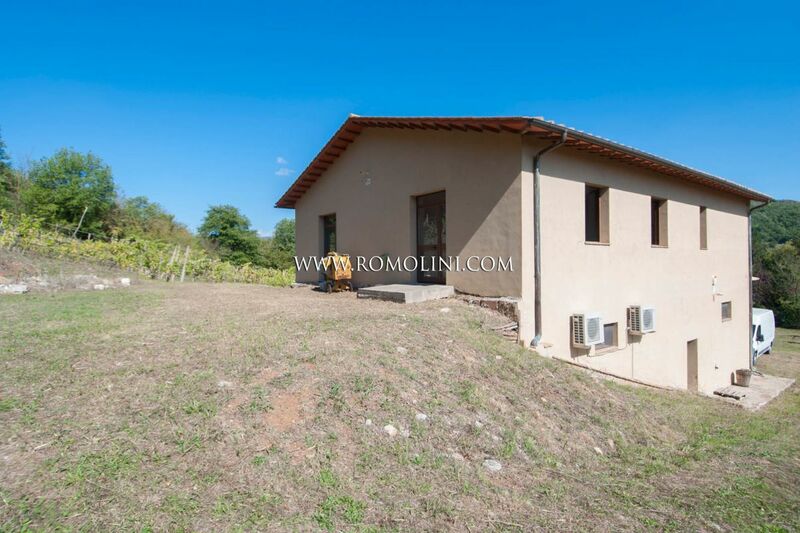 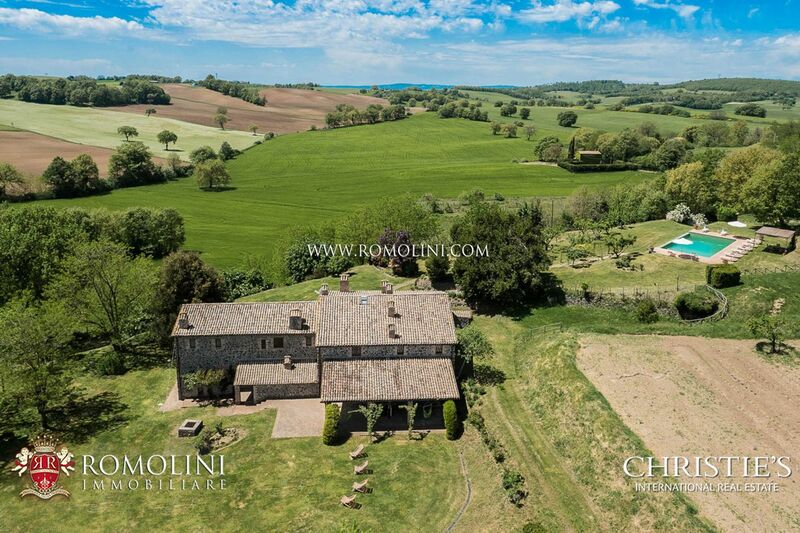 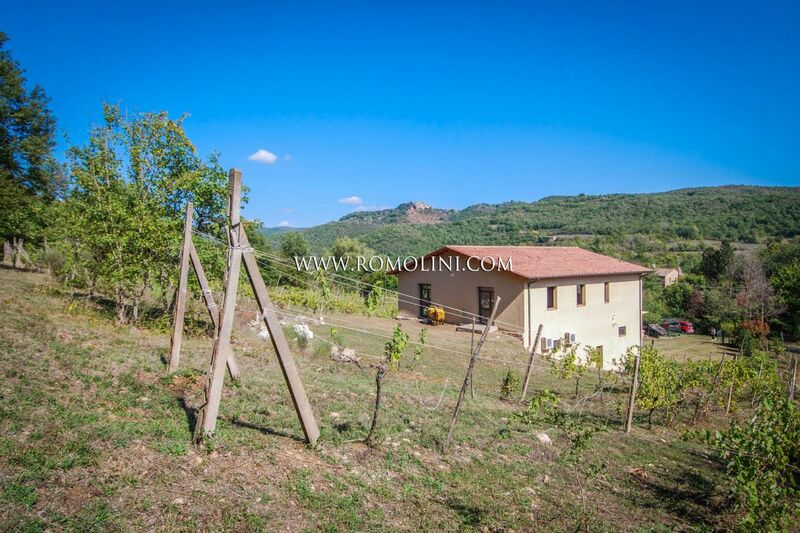 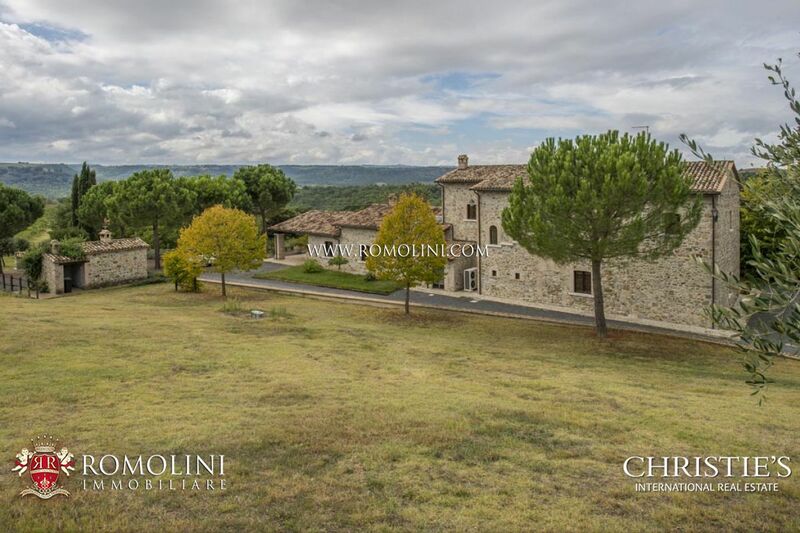 In Umbrien, in Orvieto, in hügeliger Lage mit Panoramablick, wunderschöne Villa aus Stein aus dem 18. 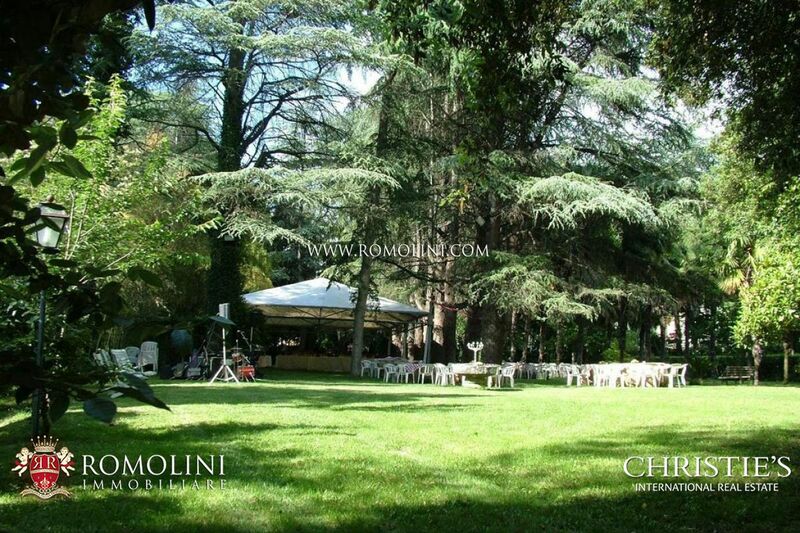 Jahrhundert mit Park, Nebengebäude und Anbauten. 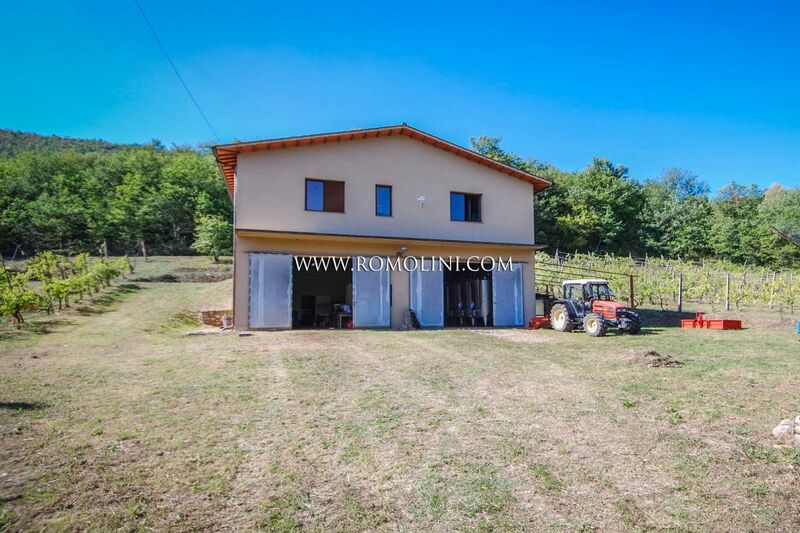 Das Anwesen hat 7 Schlafzimmer und 8 Badezimmer, für insgesamt 735 m2. 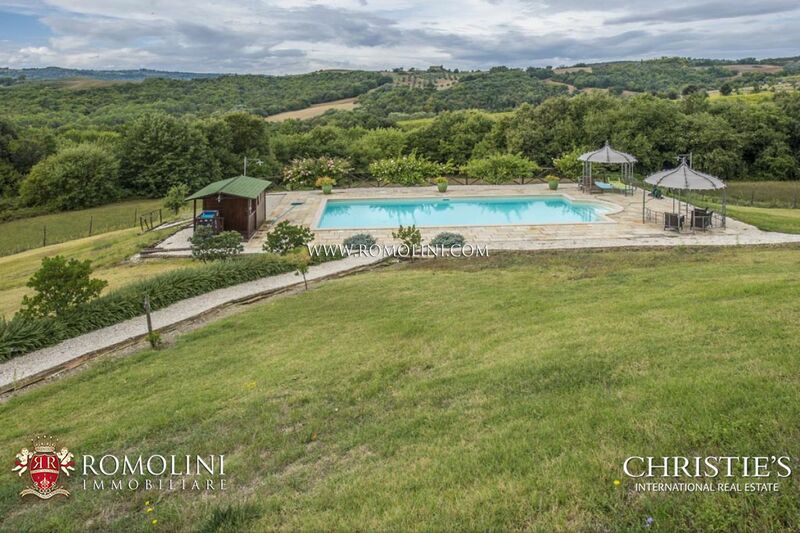 Es ist von einem vollständig eingezäunten Grundstück von 2 ha mit Pool 6 x 12 m umgeben. 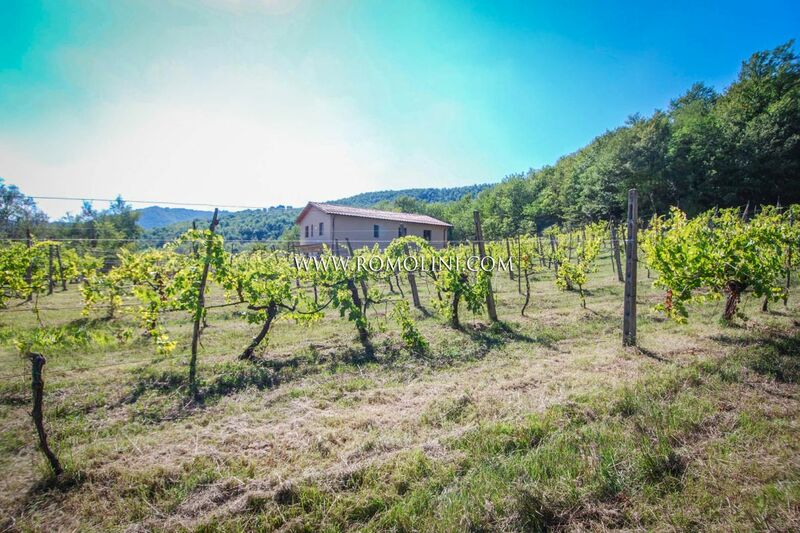 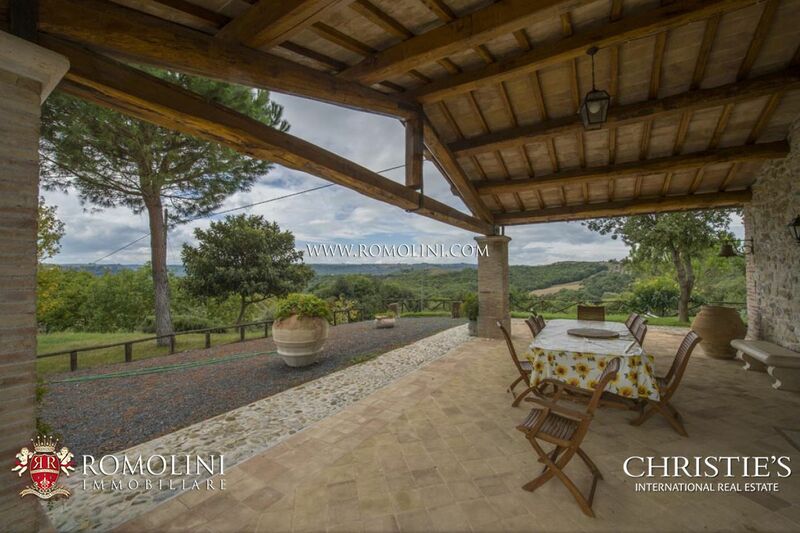 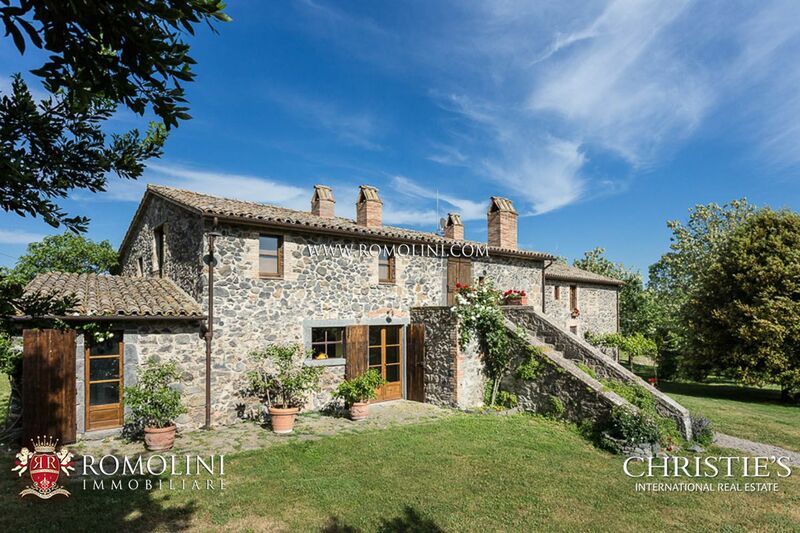 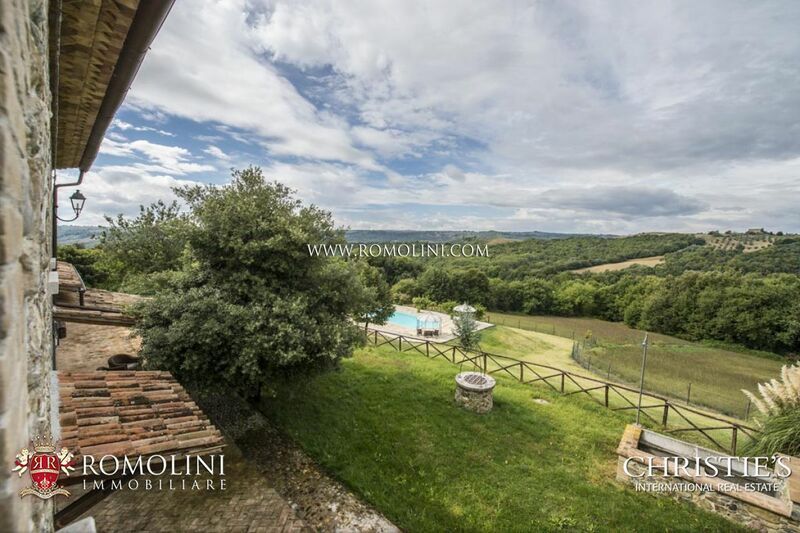 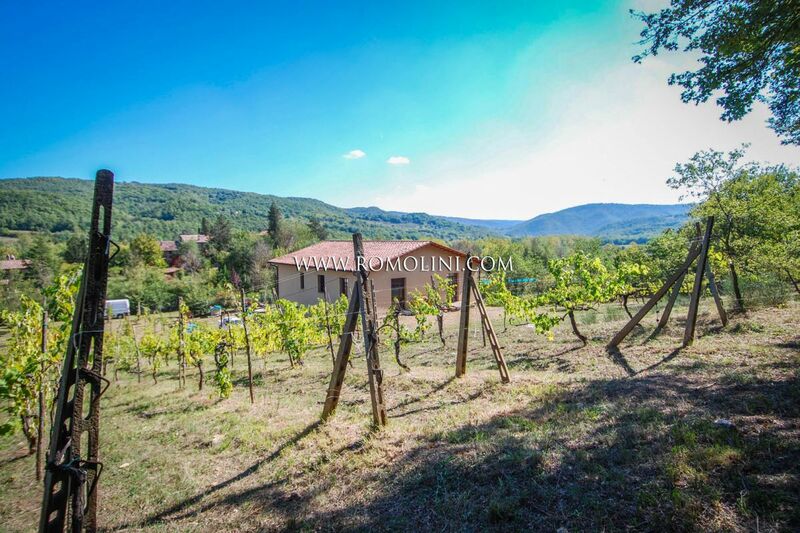 Nestled in the Umbrian countryside, not far from the border with Tuscany and Lazio, on the rolling hills of Orvieto, contemporary stone villa with guest house surrounded by a perfectly maintained garden. 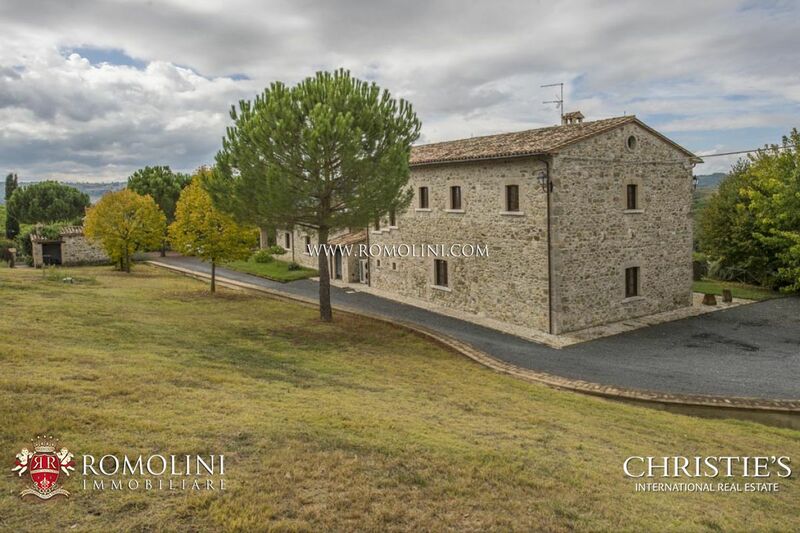 Result of a careful renovation of a 15th-century priest’s house, the complex boasts a total surface area of 450 sqm and hosts six bedrooms. 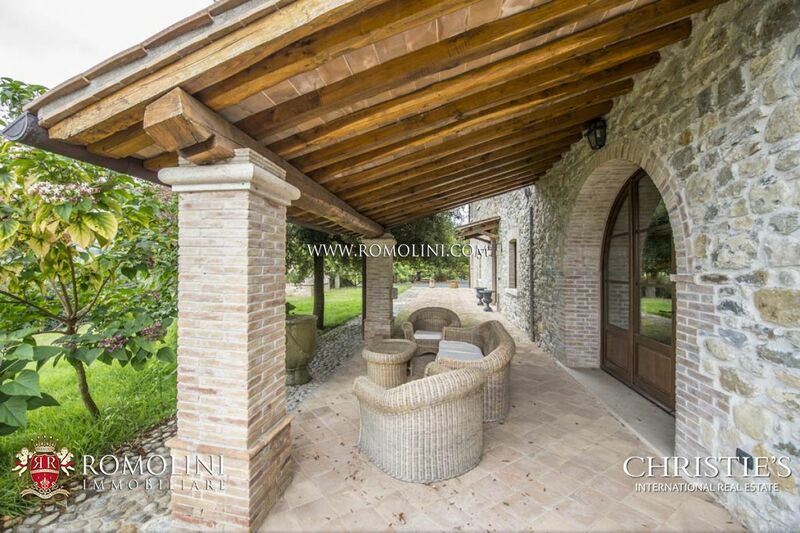 The property is completed by a swimming pool, a barbecue area, a covered pergola ideal for alfresco dining and two covered parking spaces. 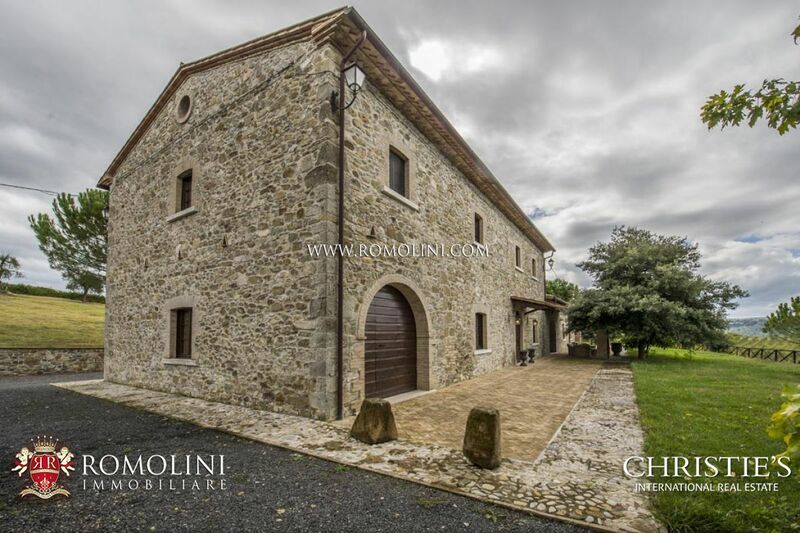 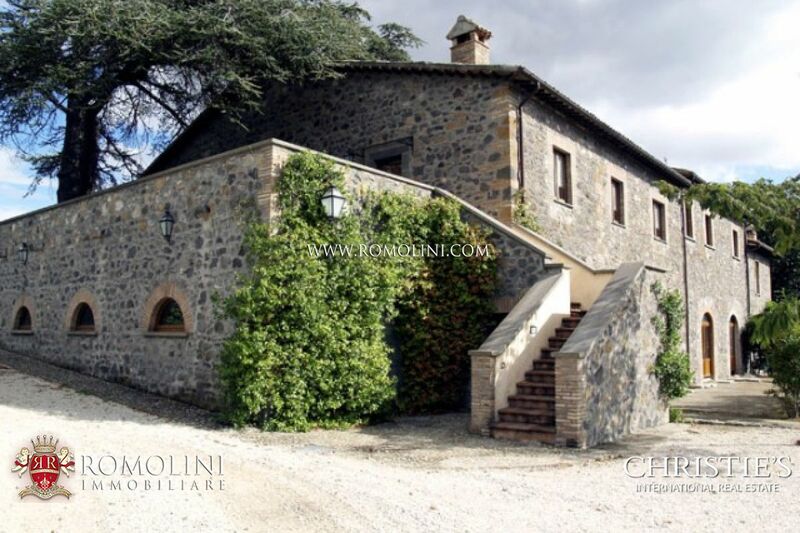 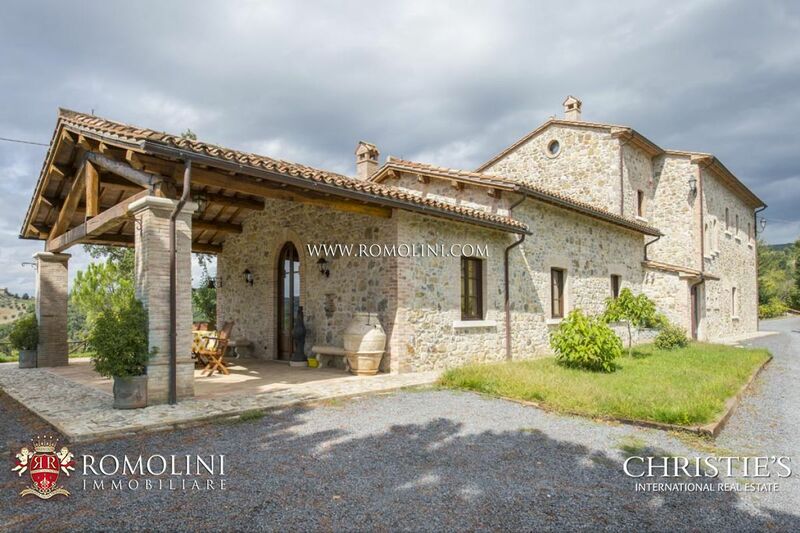 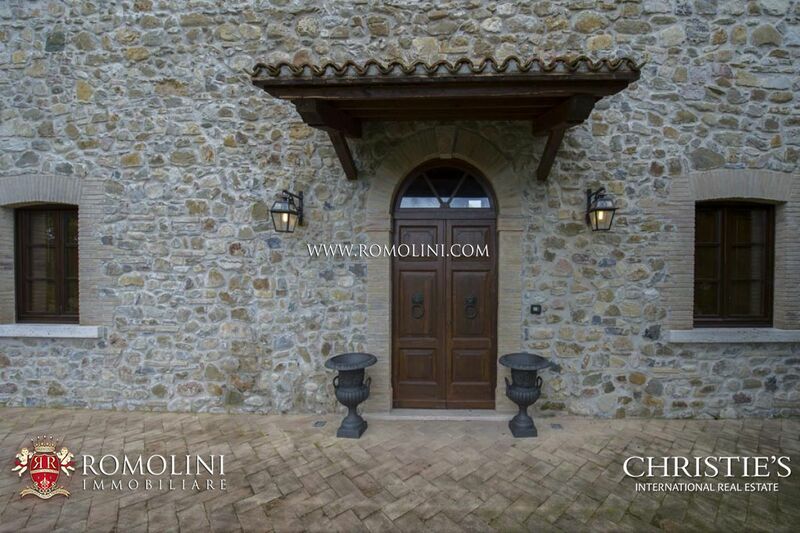 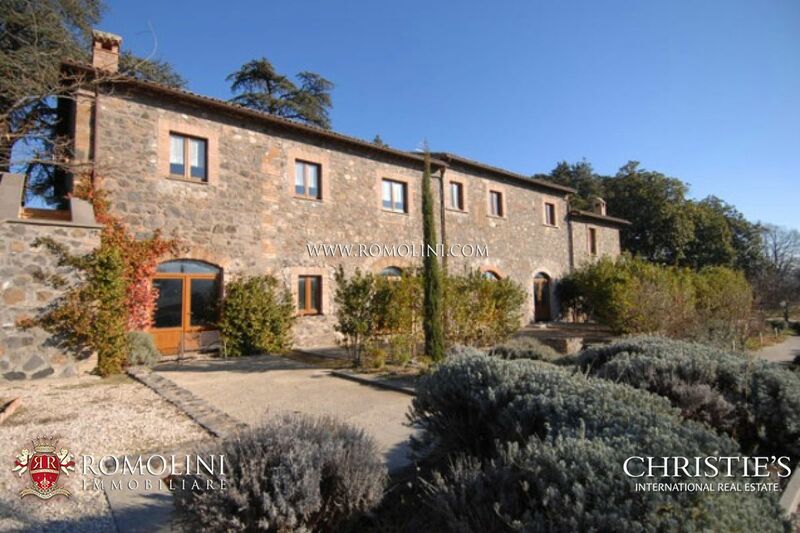 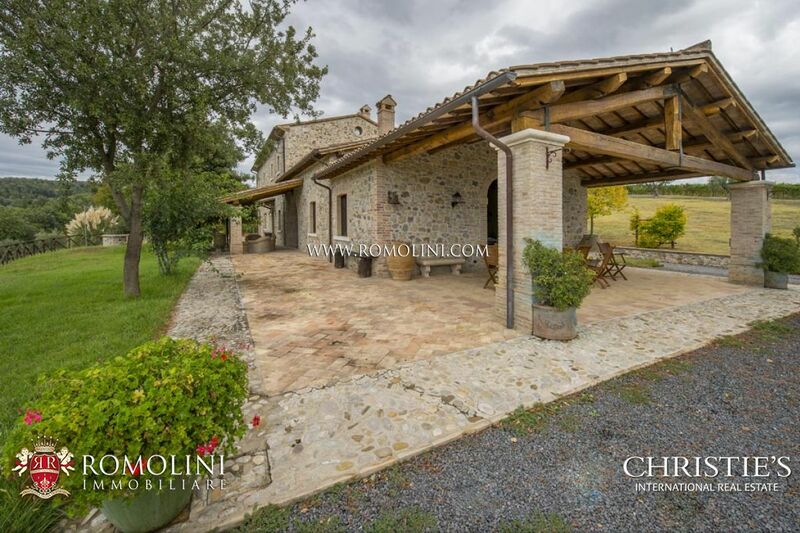 A few kilometres from the historical centre of Orvieto, in Umbria, luxury villa dating back to the 16th century for sale. 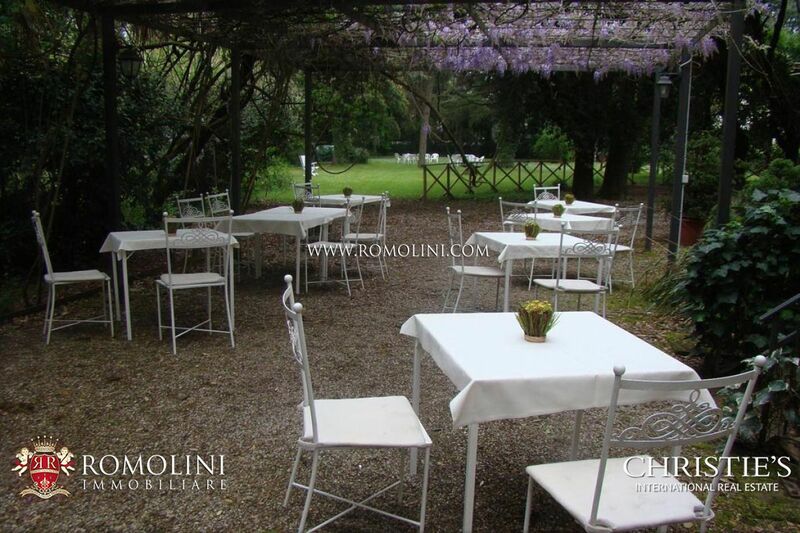 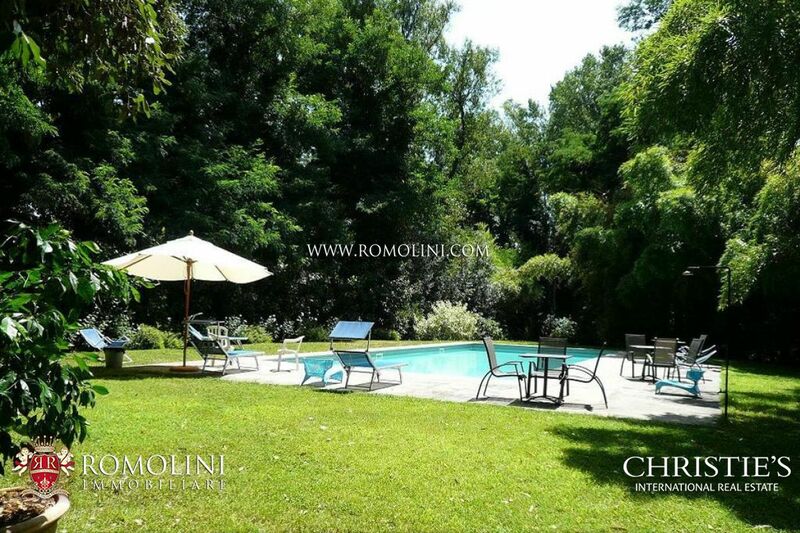 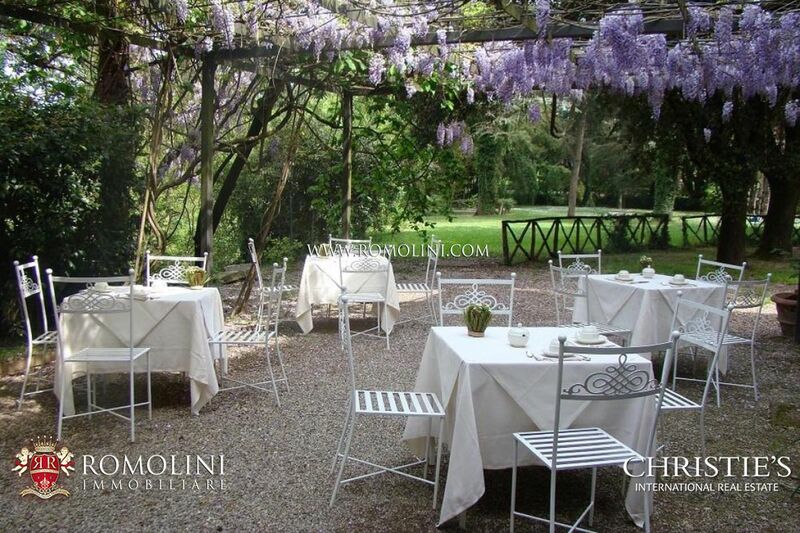 Surrounded by a park stretching for 2 hectares, the villa boasts a perfectly maintained garden. 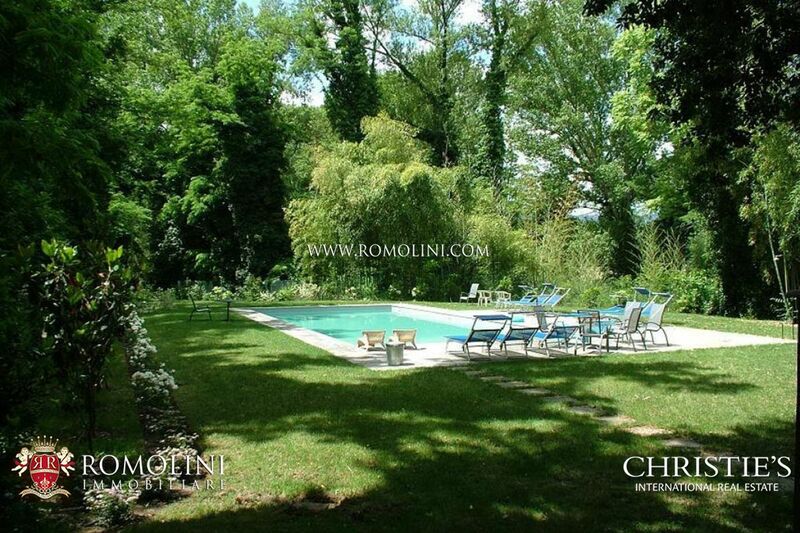 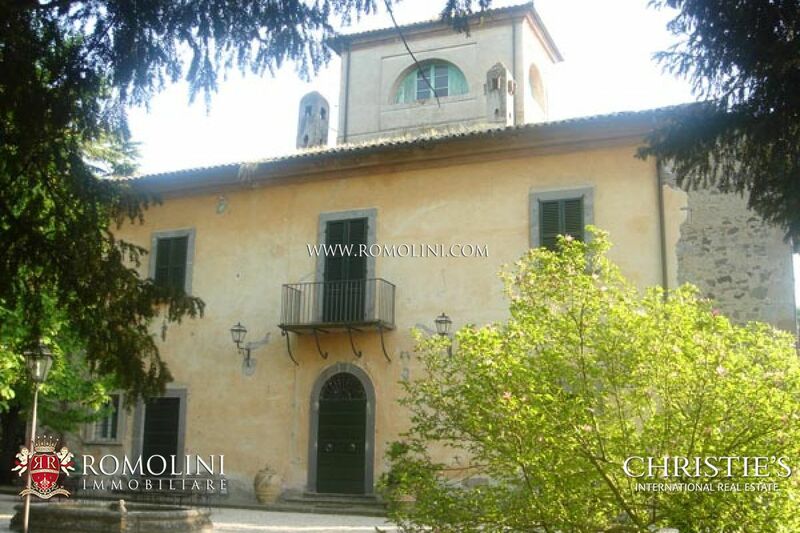 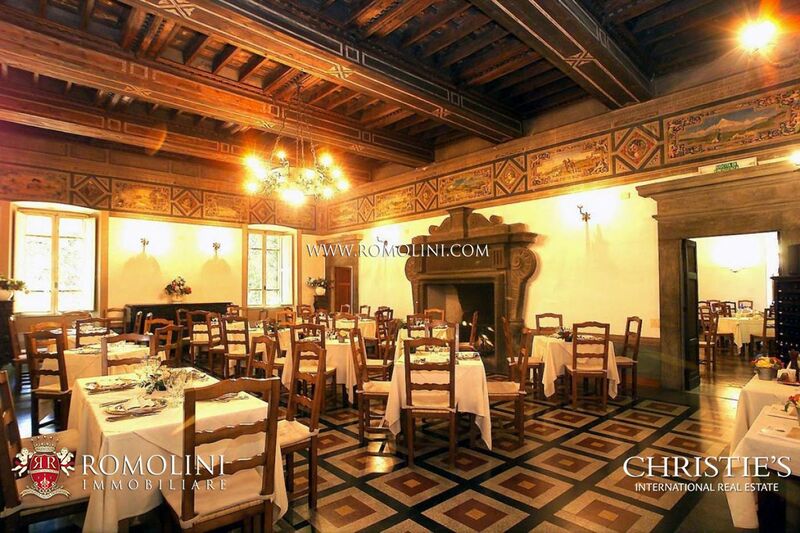 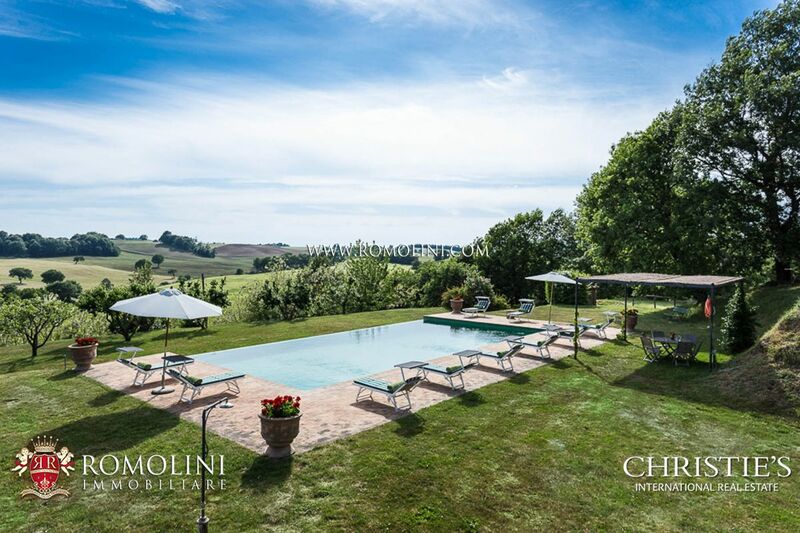 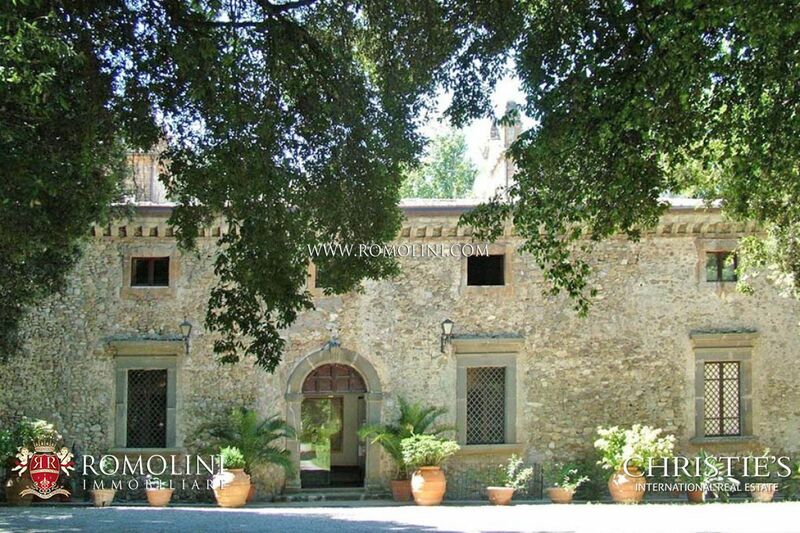 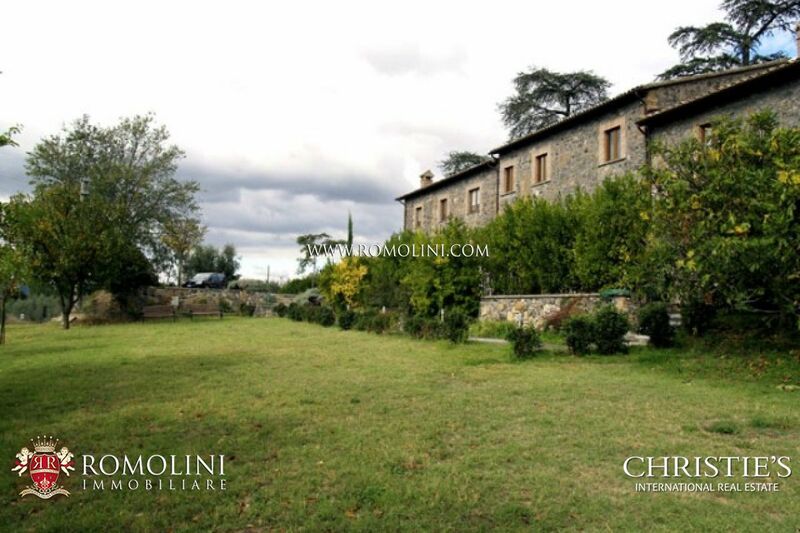 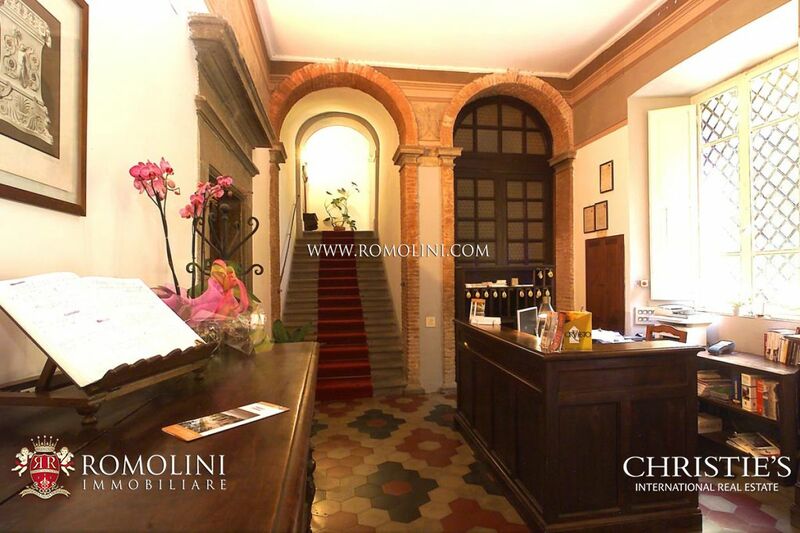 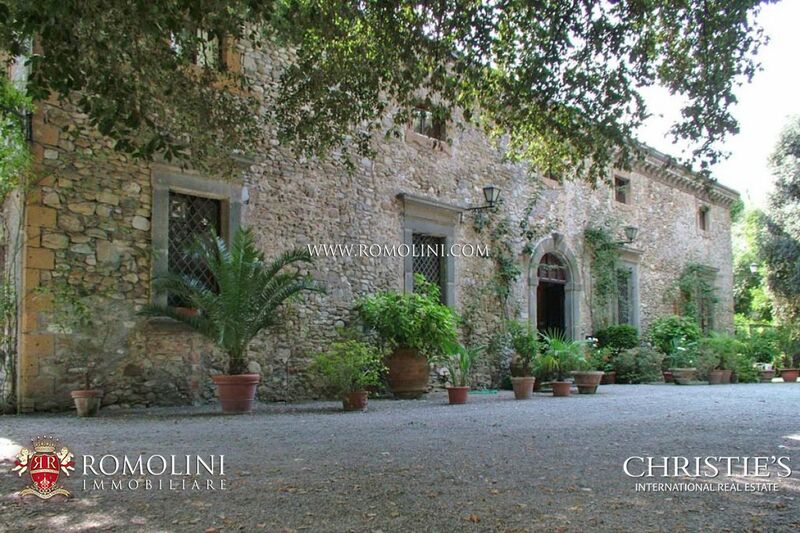 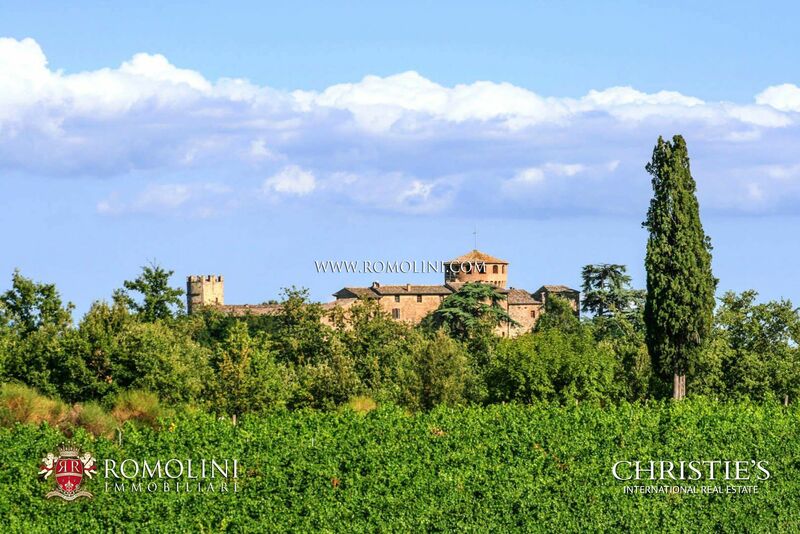 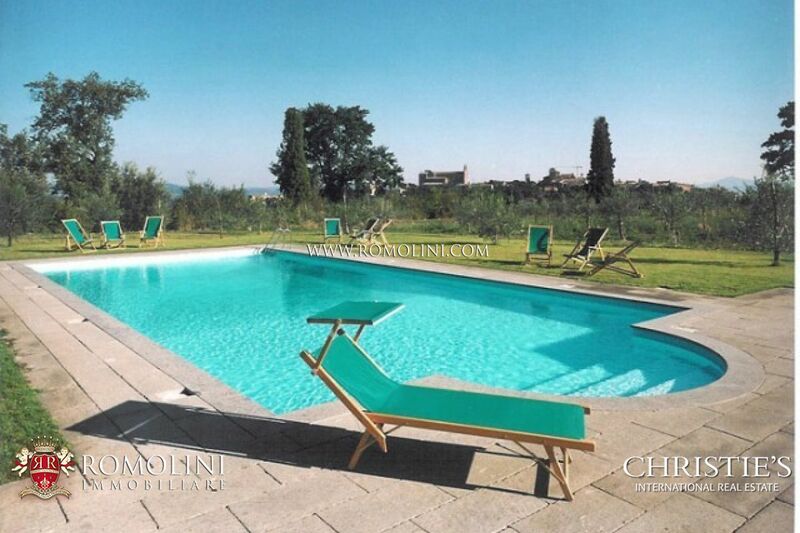 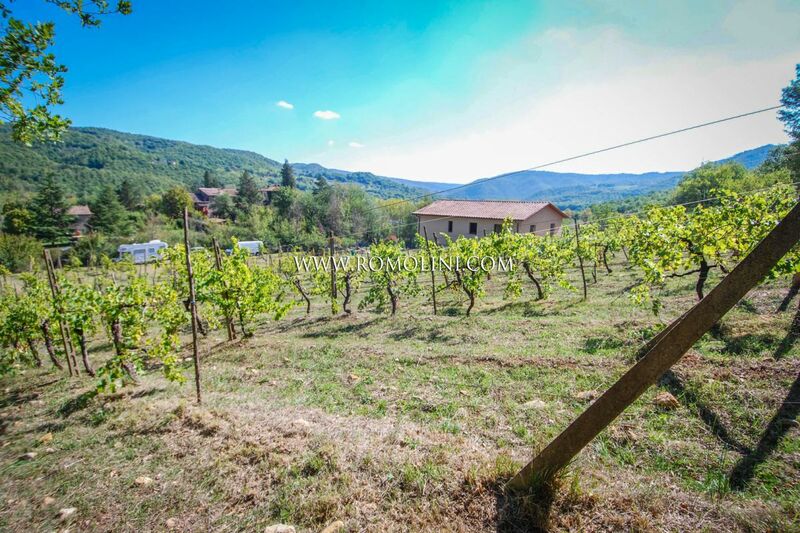 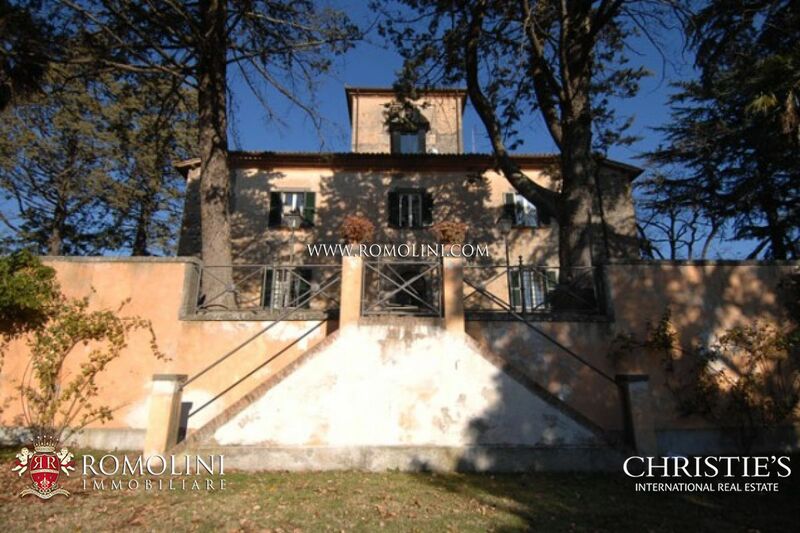 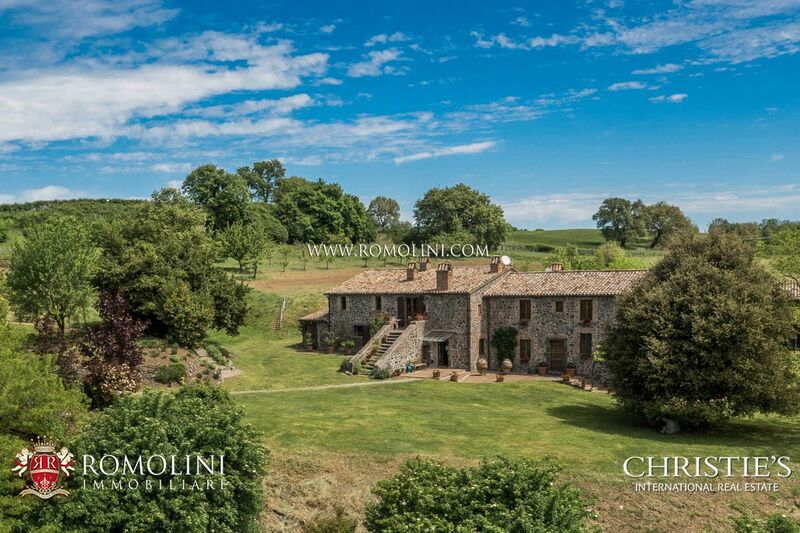 Ideal also as private home, this prestigious property is currently used as a charming relais. 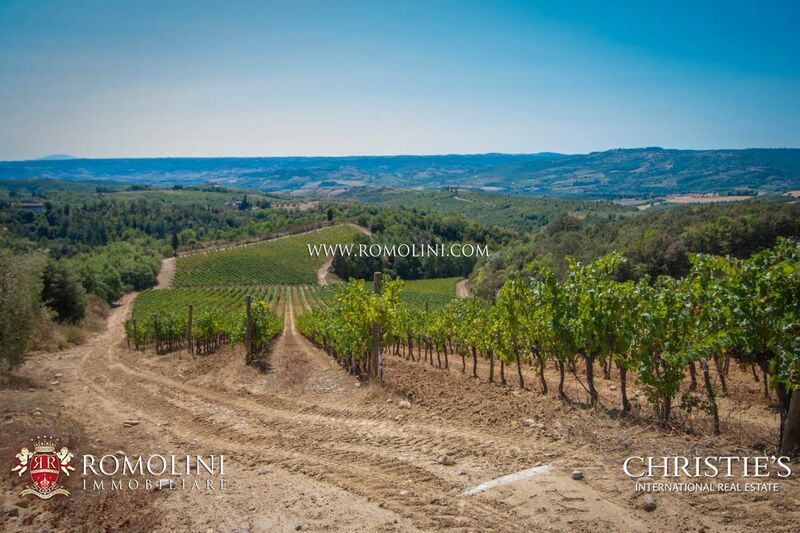 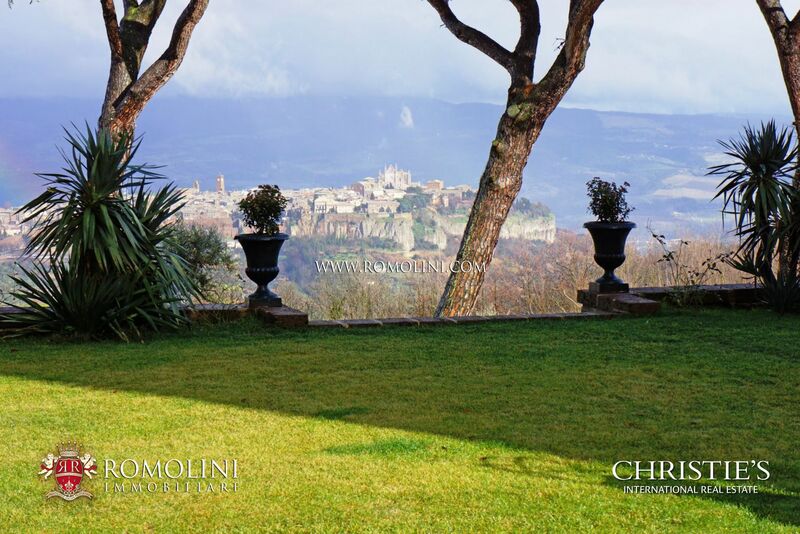 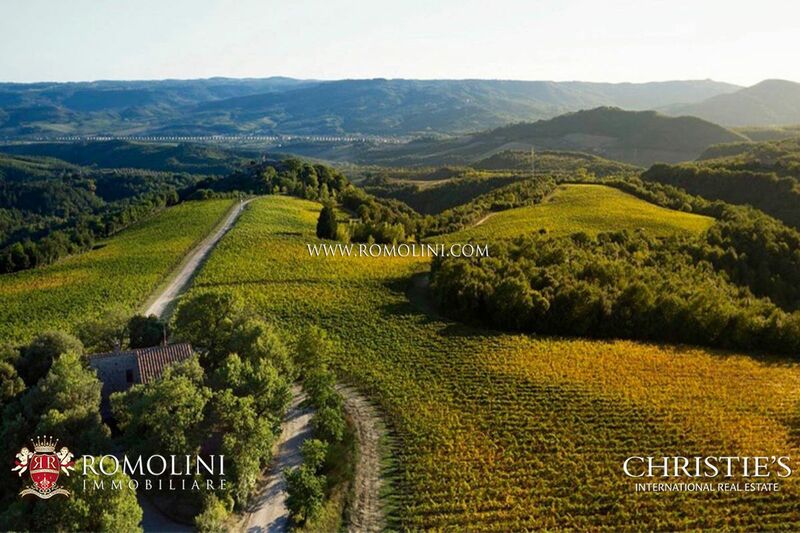 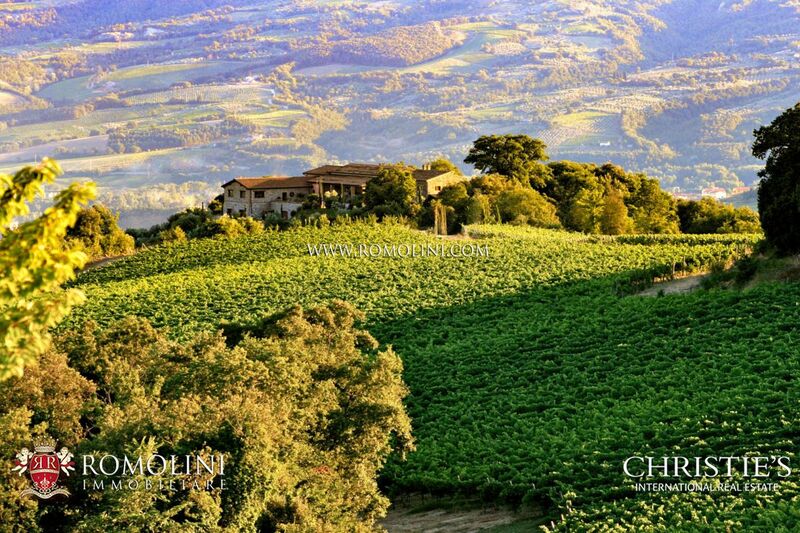 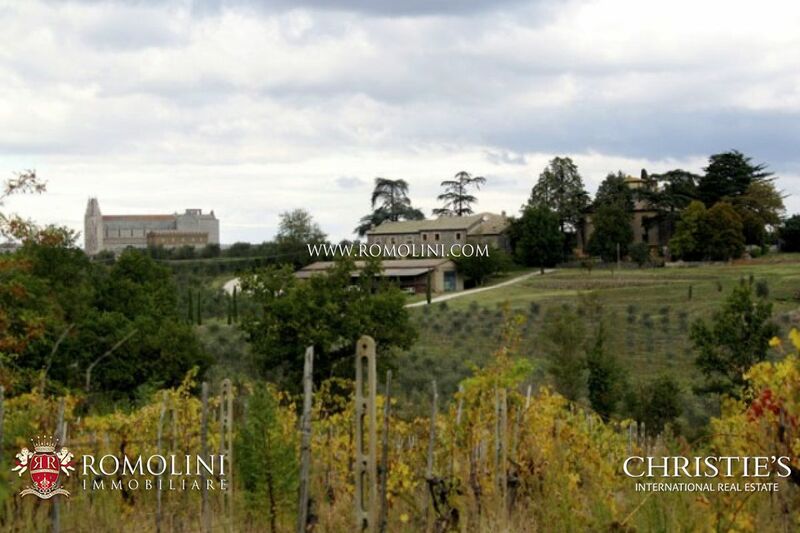 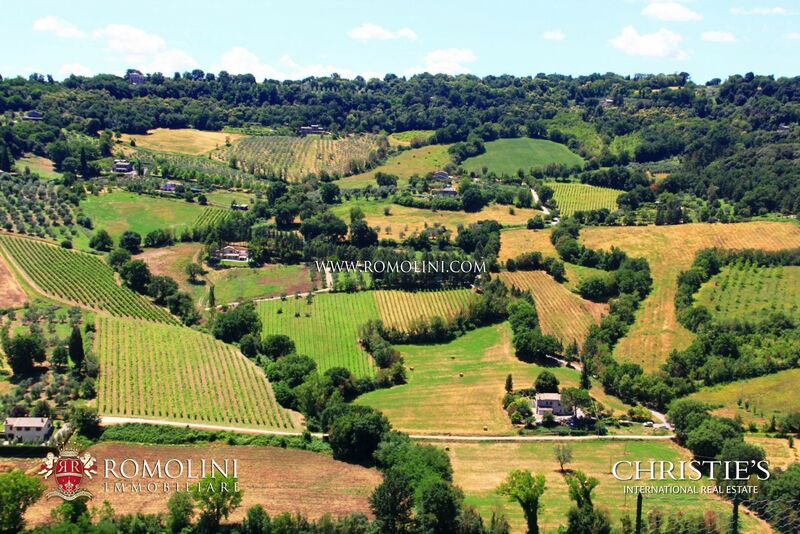 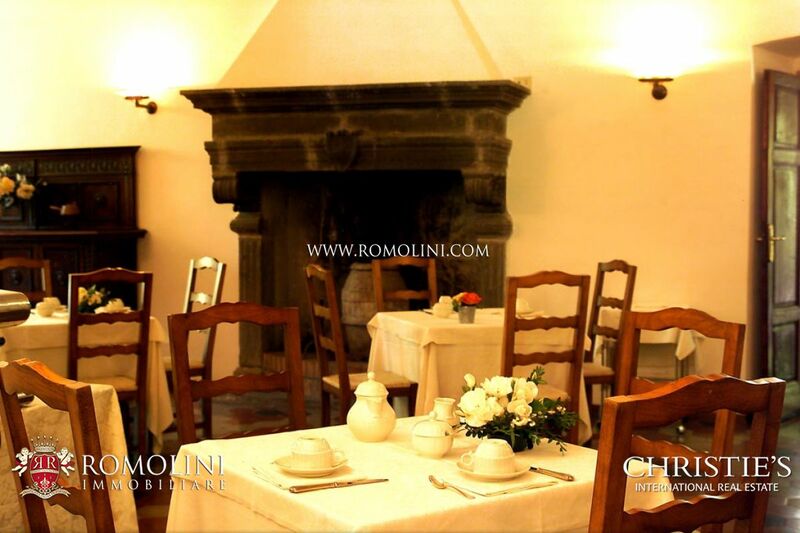 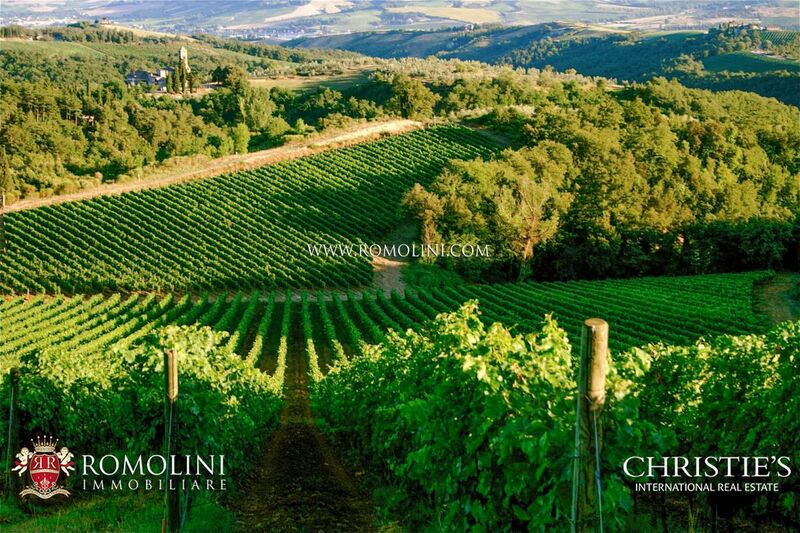 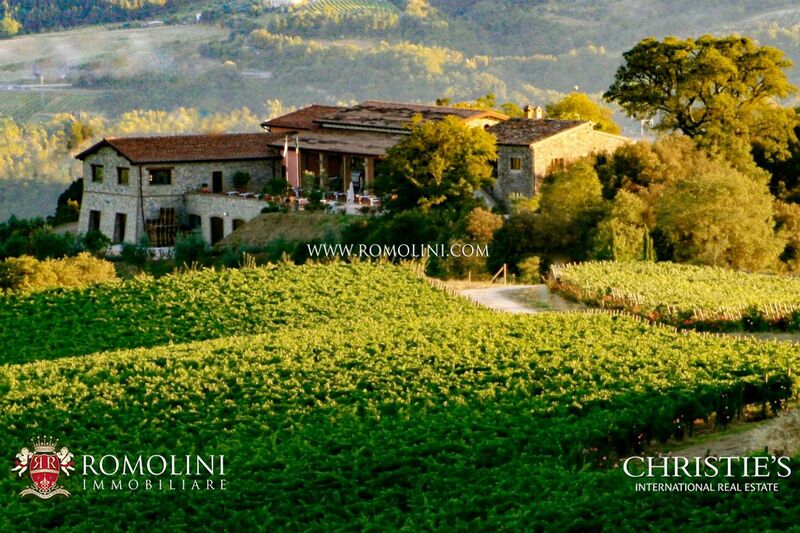 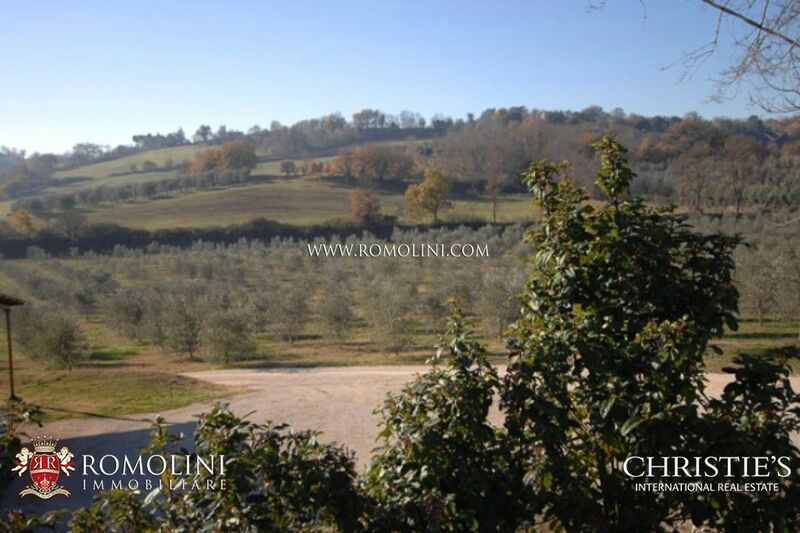 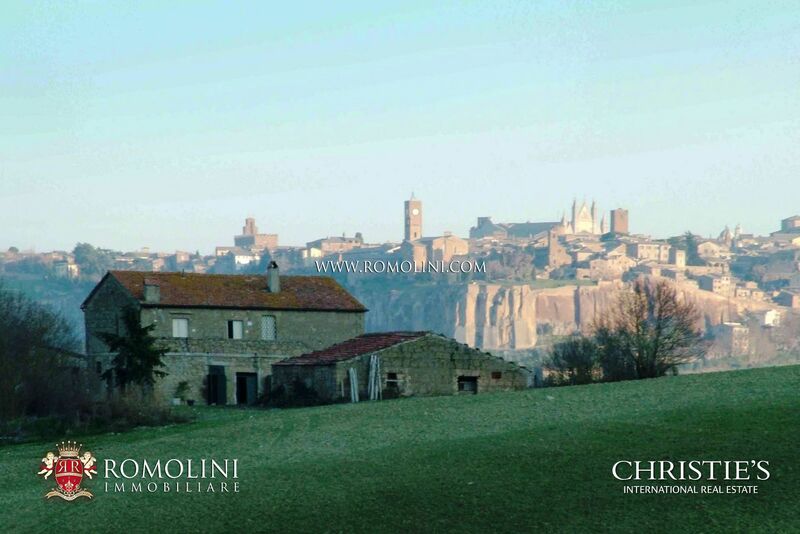 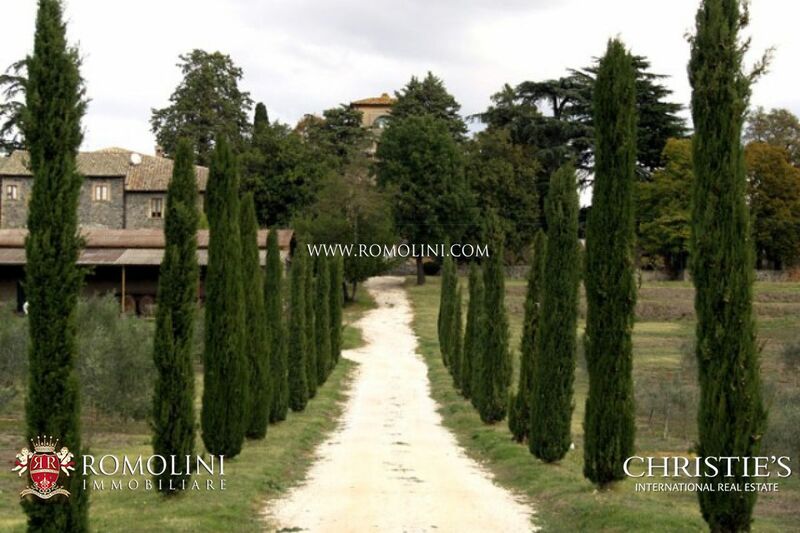 A few minutes from Orvieto, full of mysticism and suggestion, that lies this noble Real Estate dating back to 1800. 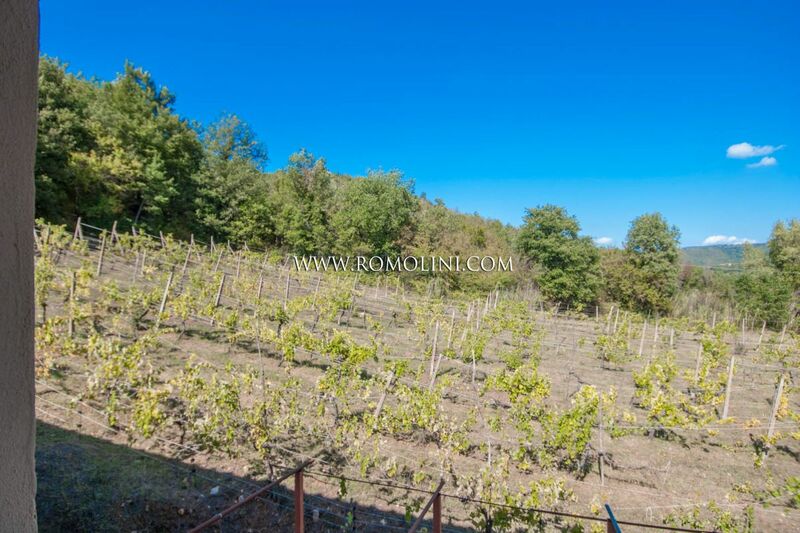 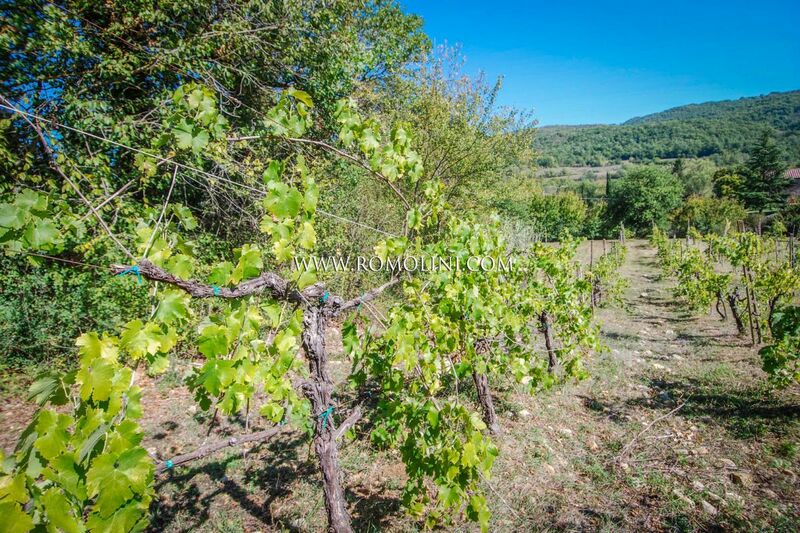 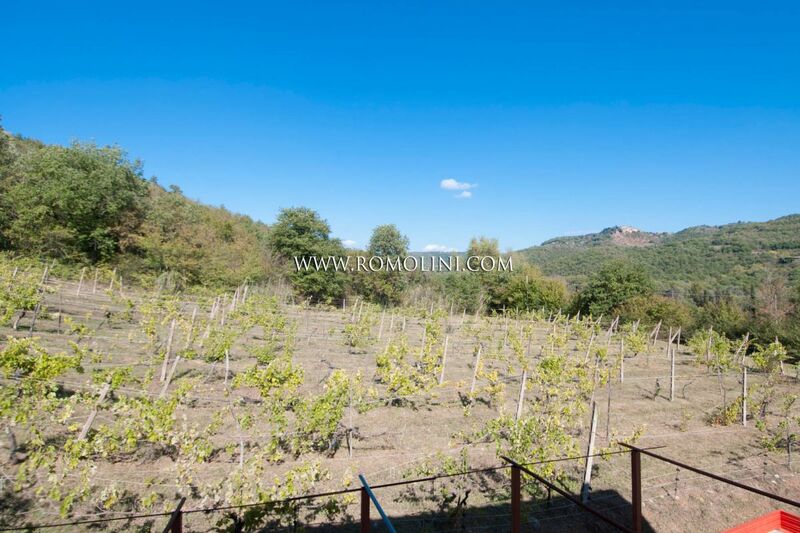 The area is the most beautiful as it is located on the provincial road of the Abbadia, name taken by the existence of an old church a few metres from the property. 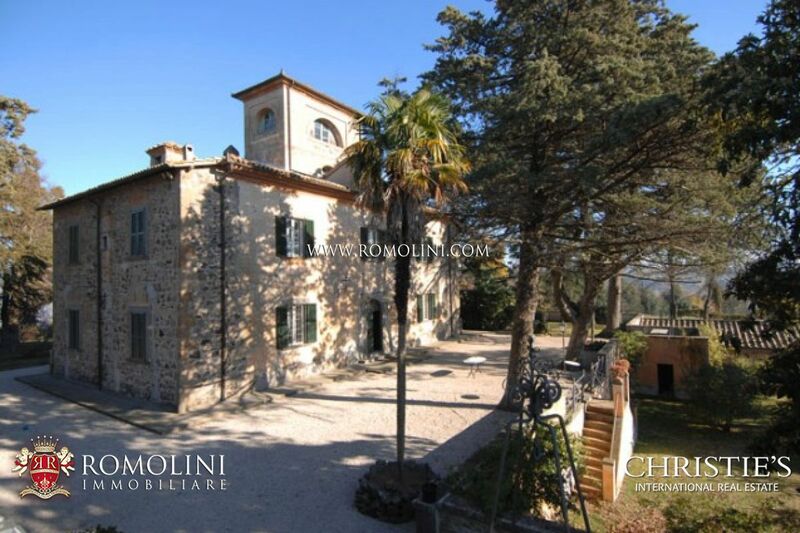 The estate is composed by a restored manor Villa with private park, a partially restored old farmhouse now divided into apartments, a lemon house, a swimming pool and 9 hectares of olive grove.